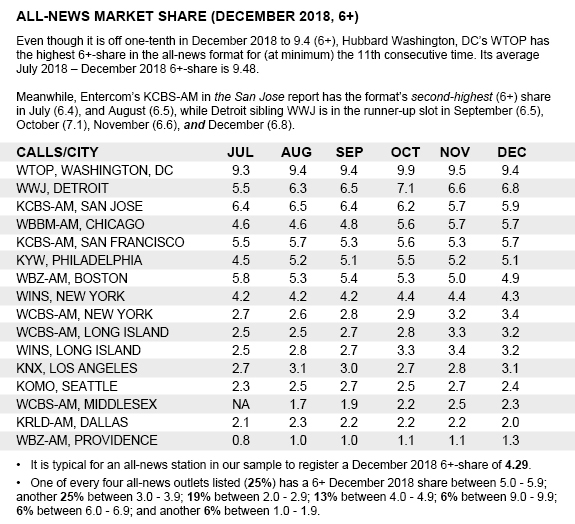 LOS ANGELES — An analysis of all-news properties begins our extensive four-part series of December 2018 ratings recaps. 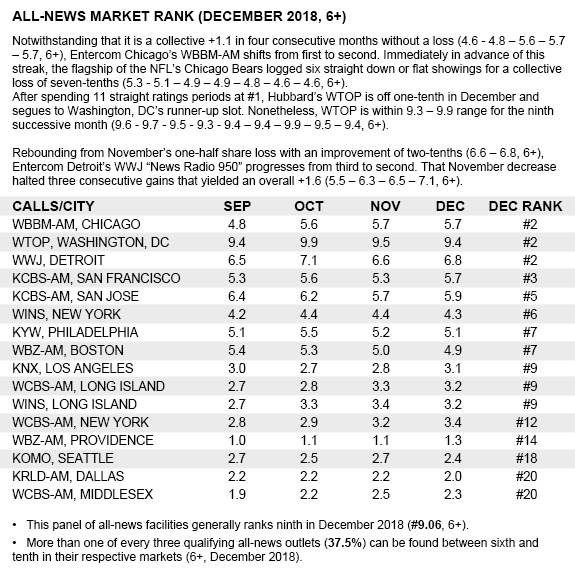 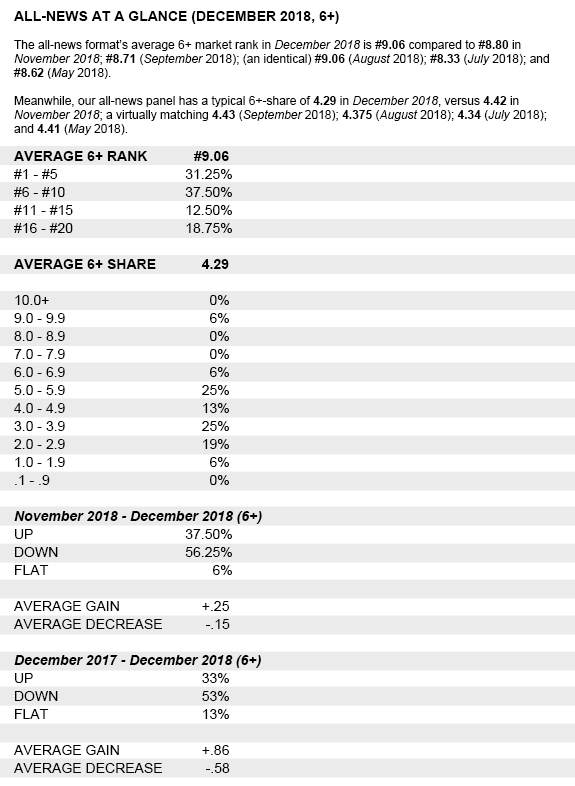 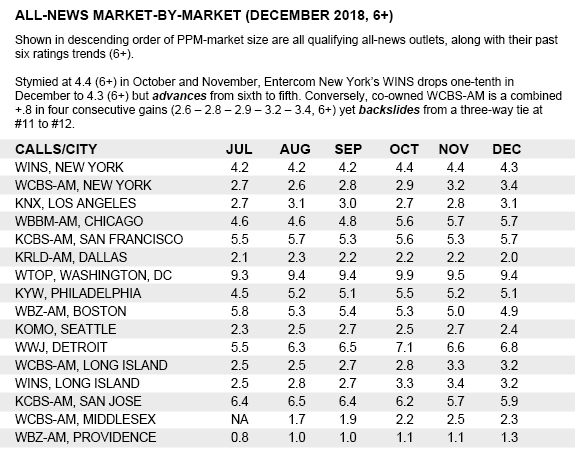 The following scoreboards reflect data from all-news stations that appear in the top 20 (6+) in December 2018, a ratings period that covered November 8 – December 5. 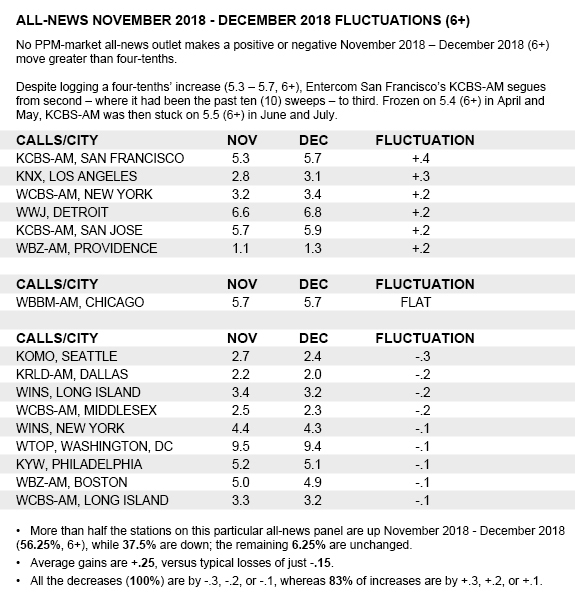 Nielsen Audio only releases audience estimates for facilities that subscribe to its services. 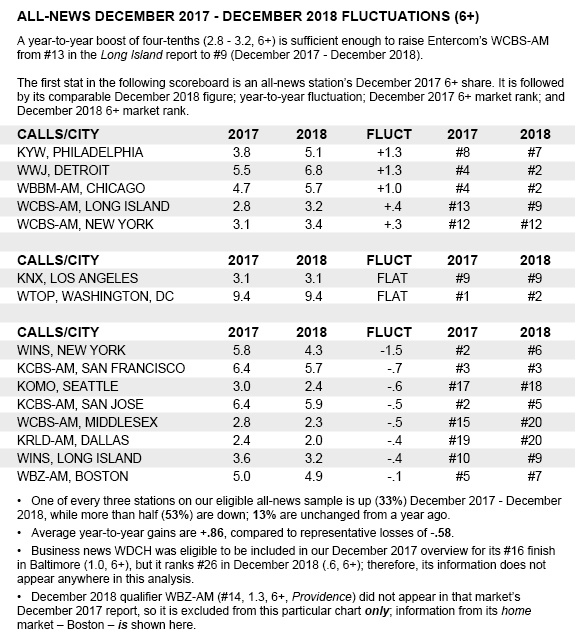 As a result, ratings stats in this exclusive overview are limited to stations paying that company for its data.